SDLC (Software Development Life Cycle) is the process of developing software through business needs, analysis, design, implementation and Release and maintenance. Different organizations have different phases in STLC however generic Software Test Life Cycle (STLC) consists of the following phases. 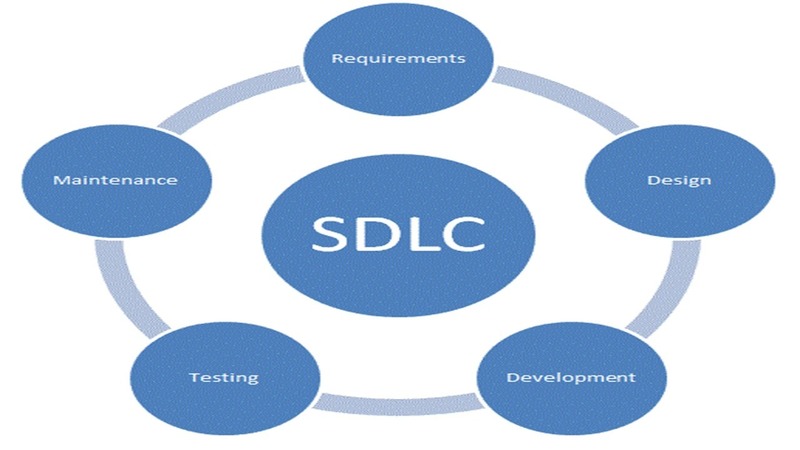 3) What is the difference between SDLC and STLC? Whereas Software Testing Life Cycle involves only Validation. Software Development Life Cycle involves business requirement specifications, Analysis, Design,Software requirement specifications, Development Process(Coding and Application development), Testing Process(Preparation of Test Plan,Preparation of Test cases,Testing,Bug reporting,Test Logs &amp; Test Reports), Release and Maintenance . Whereas Software Testing Life Cycle involves Preparation of Test Plan, Preparation of Test cases,Test execution ,Bug reporting &amp; Tracking, Re &amp; Regression Testing and Test Closure. 4) What is Waterfall Model? Waterfall Model is one of the most widely used Software Development Process.It is also called as “Linear Sequential model”. It is widely used in the commercial development projects. In this model, we move to next phase(step) after getting input from previous phase, like in a waterfall, water flows down to from the upper steps. 5) What are the advantages of Waterfall Model? ii) Easy to manage due to the rigidity of the model- each phase has specific deliverables and a review process. iii) Phases are processed and completed one at a time. iv) Works well for smaller projects where requirements are very well understood. 6) What are the disadvantages of Waterfall Model? iii) Poor model for complex and object oriented projects. v) Poor Model where requirements are at a moderate to high risk of changing. 7) What is V Model? The V-model illustrates how testing activities can be integrated into each phase of the software development life cycle. 8) What are the advantages of V Model? o Multiple stages of Testing available so that Defects multiplication can be reduced. o Due to Multiple stages of Testing and Multiple teams involvement Quality can be improved. o The V Model Supports wide range of development methodologies such as Structured and Object oriented systems development. o The V Model supports tailoring. 9) What are the disadvantages of V Model? o It an expensive model than Waterfall model, needs lot of resources, budget and time. o Co-ordination and Maintenance are difficult. o Adoption of changes in Requirements and Adding New Requirements at middle of the process are difficult. o It needs an established process for proper implementation. 10) What is Prototype Model? Developers prepare design documents using all available requirements then build the prototypes, prototypes are sent to Customer, and Customer evaluates Prototypes and gives feedback. Developers redefine Requirements, modify software design and produce modified Prototypes. Process will be continued like this, after getting Customer’s confirmation Developers Start Regular process; Software Design, Coding (Implementation), Testing and Release &amp; Maintenance. 11) What are the advantages of Prototype Model? o The customer doesn’t need to wait long as in the Linear Model or Waterfall Model. o Feedback from customer is received periodically and the changes don’t come as a last minute surprise. o Customer’s interaction improves the Quality as well success rate. 12) What are the disadvantages of Prototype Model? o It is an expensive approach and time taking process when its compare to sequential models like Waterfall model. o Customer could believe the prototype as the working version. o Developer also could make the implementation compromises. o Once Requirements finalized then adopting changes in Requirements and adding New Requirements are difficult. 13) What is Agile development methodology? 14) What is Scrum Methodology in Agile Software Development? The best part of the scrum methodology is that it makes use of real world progress of a project, which is used for planning and scheduling releases. The entire computer software project is divided into small parts known as sprints. The duration of sprint can range from one week to three weeks. At the end of the duration of the sprint, the team members along with the stakeholders meet. This meeting helps in assessing the progress of the project and chalk out the further plan of action. This assessment helps in taking stalk of the current state of affairs and rework the line of work and complete the project on time and not just speculate or predict the further outcome. 16) What is Requirements Gathering phase in SDLC, explain it? 17) What is BRS in Software Development? 18) What is SRS in Software Development? 19) What is HLD or Global Design? 20) What is LLD or Detailed Design? 21) Explain about the Software Release process? Release Team goes to customer place and deploys software. 22) Explain about the Software Maintenance Process?